Albert Holden Illingworth, later 1st Baron Illingworth(1) (1865-1942). Sitter: Albert Holden Illingworth, later 1st Baron Illingworth(1) (1865-1942). Biog: M.P; Postmaster General 1916-1921; Privy Councillor 1916. Costume: Full Dress, Civil Uniform (1st class). Biog: Burke's Peerage; Who's Who; The Times, 24 January 1942, p 6e. Occasion: The Times, 25 June 1920, p 20b & 26 June 1920, p 19b. Costume: Herbert A.P. Trendell (ed. 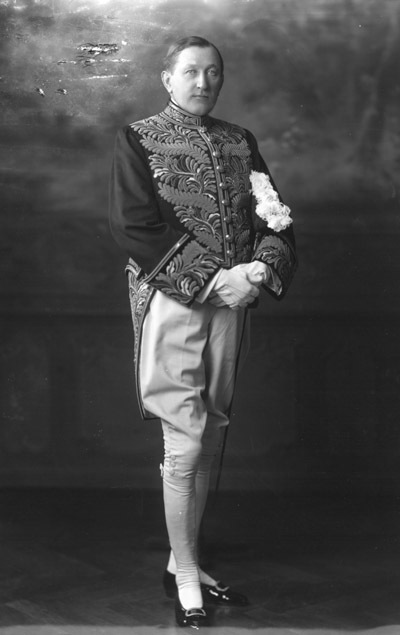 ), Dress and Insignia Worn at His Majesty's Court, London, 1921. 2. The sitter's niece, Mrs Leslie Rome, was presented on marriage by Mrs. A.H. Illingworth.